Oil spills can disrupt marine and coastal ecosystem services leading to reduced employment opportunities and income. Ecosystem models can be used to estimate the effects of oil pollution; however, uncertainty in model predictions may influence damage assessment. We performed an uncertainty analysis for the Atlantis ecosystem model of the Gulf of Mexico (Atlantis-GOM), under a scenario simulating the effects of the Deepwater Horizon oil spill. Atlantis-GOM simulates major biophysical processes, including the effects of oil hydrocarbons on fish growth and mortality. We used all available fish stomach content data to inform parameter distribution for the Atlantis-GOM availability matrix, which represents predator total consumption potential and diet preference. We sampled the fish diet composition distribution and analyzed the variability of functional group biomass and catch predicted by Atlantis-GOM simulations to changes in the availability matrix. Resulting biomass and catch were then used to fit statistical emulators of the ecosystem model and predict biomass and catch given the complete diet parameter space. 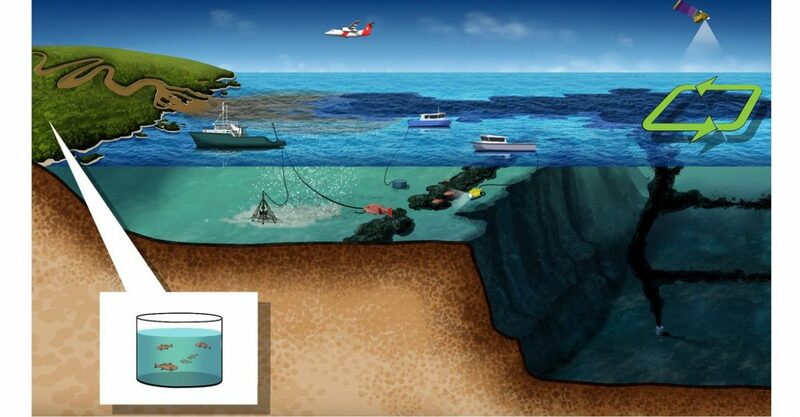 We used simulated and emulated data to assess changes in recovery time to oil spill effects. Uncertainty in diet composition had large effects on model outputs and may, therefore, influence damage assessment of oil exposure on economically important species.